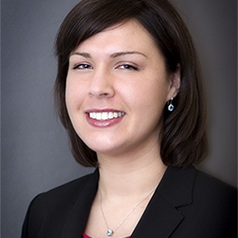 Dr. Katie Ballering is a Research Associate at the Center for Infectious Disease Research and Policy. Currently Dr. Ballering supports the DHS BioWatch program by writing national bioterrorism planning and response guidance for local jurisdictions and providing subject matter expertise to both the BioWatch Laboratory Operations and Public Health and Preparedness groups in the program. Previously she supported work at CIDRAP investigating influenza vaccine technologies and manufacturing platforms. Her bench research background focused on microbial genetics, physiology and biochemistry.